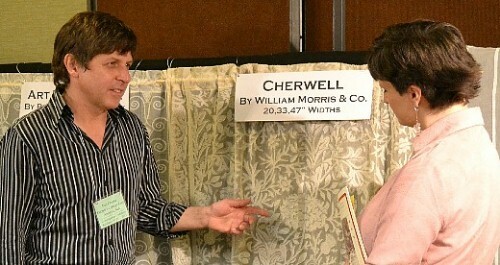 Shown above: Dan Cooper explaining the quality of Scottish Madras Weave to a prospective customer at the 2011 Grove Park Inn Arts & Crafts Conference. 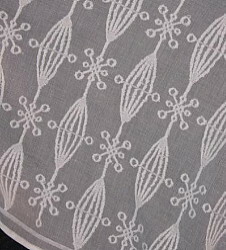 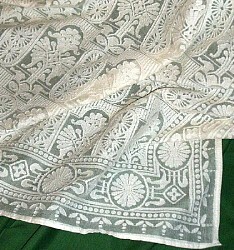 Dan Cooper�s Cooper Lace use the highest quality 100% cotton Madras weave scrim woven in Scotland. 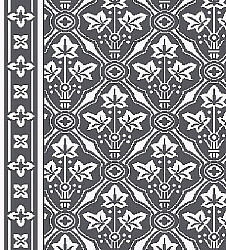 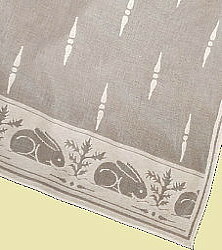 Finished in a natural white, the patterns are perfect for early 20th century homes. 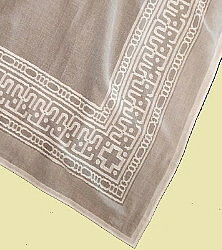 These beautiful curtains grant privacy while allowing the maximum amount of light. 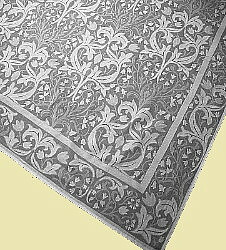 The patterns are clean, uncluttered and will delightfully accent any decor. 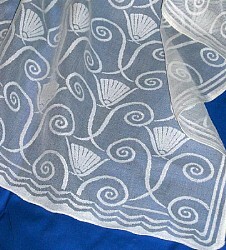 Patterns include Arts & Crafts designs by Dard Hunter, Laura Wilder and Yoshiko Yamamoto, a Prairie design by Jason Ackman for Fair Oak Workshops, Art Deco, Victorian and neo-Classical designs by Steve Bauer of Bradbury & Bradbury, a William Morris & Co pattern from 1887 and a C F A Voysey design by David Berman of Trustworth Studios. 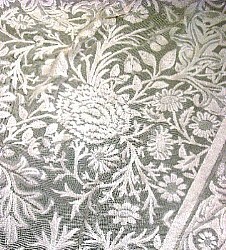 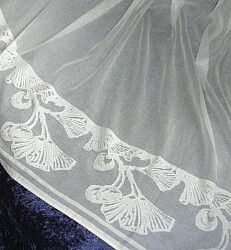 Click on a category below to view our selection of Dan Cooper's Cooper Lace Curtains.